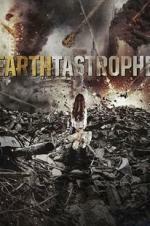 Buy or Rent Earthtastrophe (2016) Movie DVD & BluRay Online! Movie Plot: In a white hot flash of light, and with no warning, one minute our moon is there, the next it’s gone. Then, a second flash. And that’s the last thing anyone on Earth can remember. 11 months later, it’s not post- apocalyptic; it’s apocalyptic as Earth has been sucked through a wormhole, literally ripping our planet from the inside out. With bizarre disasters and civilization collapsing, our heroes must find a way to survive and get to “safe ground” before it’s too late.